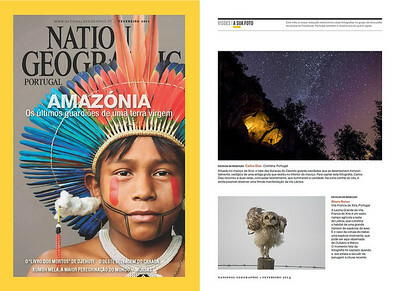 February 2014 - National Geographic Portugal Magazine: My "Fire in the Hole" image was published in the "Your Shot" section. November 2014 - "Fire in the Hole" featured on the Twitter of the Breathing Color. November 2014 - Interviewed by Mara Gonçalves for the "Fugas" - Público newspapper. 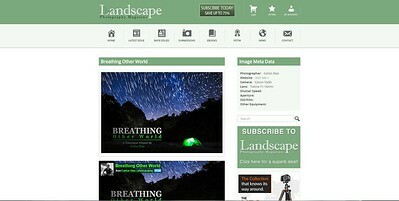 April 2015 - "Breathing other world" featured on the Landscape Photography Magazine's website. May 2015 - My "Cabo da Roca" image was selected as the Earth Science Picture of the Day, by NASA. January 2016 - My "Os Três Cântaros" image was featured on the Quechua's Instagram. 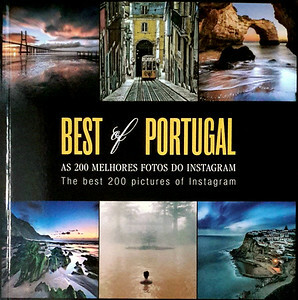 January 2016 - Three of my images were published in the "Best of Portugal" book. One of them was also featured on the cover. January 2018 -My "Jerumelo" image was featured on the "Wall of Fame" section, in the Landscape Photography Magazine. January 2018 - My "Great Reception" image was featured on the "Wall of Fame" section, in the Landscape Photography Magazine. November 2014 - My "Breathing other world" timelapse video won the distinction of the "Video of the week" by the Awardeo Company. May 2015 - "Breathing other world" selected for the IV Finisterra Arrabida Film Art & Tourism Festival, in Portugal. October 2015 - "Breathing other world" selected for the 6th International Short Film Festival Amorgos, in Greece.